Jesus knew beforehand what would befall him. As Jesus ate his last supper meal with his twelve apostles, he put them under trial and suspicion (one of you will betray me) to teach them to examine themselves rightly, lest they be high-minded and think themselves more strong than they were. We also must examine ourselves in the light of God’s truth and grace and ask him to strengthen us in faith, hope, and love that we may not fail him or forsake him when we are tempted. Do you pray with confidence in the words Jesus gave us to pray: “Do not lead us into temptation, but deliver us from evil” (Matthew 6:13)? We are exceedingly frail and indisposed to every virtuous and gallant undertaking and we pray the Lord to strengthen our weakness, that we may do valiantly in this spiritual war; help us against our own negligence and cowardice, and defend us from the treachery of our unfaithful hearts. As Jesus’ hour of humiliation draws near (Matthew 26), he reveals to his disciples the supreme humility which shaped the love he had for them. He stoops to perform a menial task reserved for servants – the washing of smelly, dirty feet. In stooping to serve his disciples Jesus knew he would be betrayed by one of them and that the rest would abandon him through fear and disloyalty. Such knowledge could have easily led to bitterness or hatred. Jesus met the injury of betrayal and disloyalty with the greatest humility and supreme love. Let the love of Christ rule in your heart and actions. Jesus loved his disciples to the very end, even when they failed him and forsook him. The Lord loves each of us freely and unconditionally. His love has power to set us free to love and serve others with Christ-like compassion and humility. 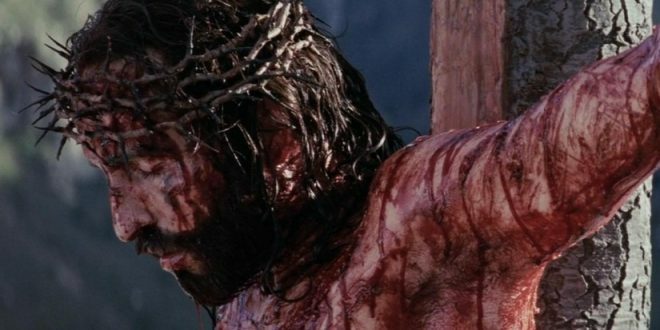 Who can bear to look upon the bloodied cross where Jesus hung without shame or sorrowful grief, disbelief or reverent awe? The cross brings us face to face with Jesus’ suffering. He was alone – all his disciples had deserted him except for his mother and three women along with John, the beloved disciple. And his death was agonizing and humiliating. Normally a crucified man could last for several days on a cross. Jesus’ had already been scourged, beaten with rods, and a crown of thorns pressed into his skull. It is no wonder that he died mid-afternoon. We can find no greater proof of God’s love for us than the willing sacrifice of his Son on the cross. Jesus’ parting words, “It is finished!” express triumph rather than defeat. Jesus bowed his head and gave up his spirit knowing that the strife was now over and the battle was won. Even on the cross Jesus knew the joy of victory. What the Father sent him into the world to do has now been accomplished. Christ offered himself without blemish to God and he put away sin by the sacrifice of himself (See Hebrews 9:24-28). Cherish every moment of this most sacred time and remember that Jesus died for you. May his name be glorified both now and forever.